Elmhurst Youth Baseball (EYB) is the OFFICIAL Little League Baseball non-profit organization in Elmhurst, Illinois. EYB offers Spring and Fall leagues, player development clinics and the areas best Travel baseball program, Elmhurst Extreme. 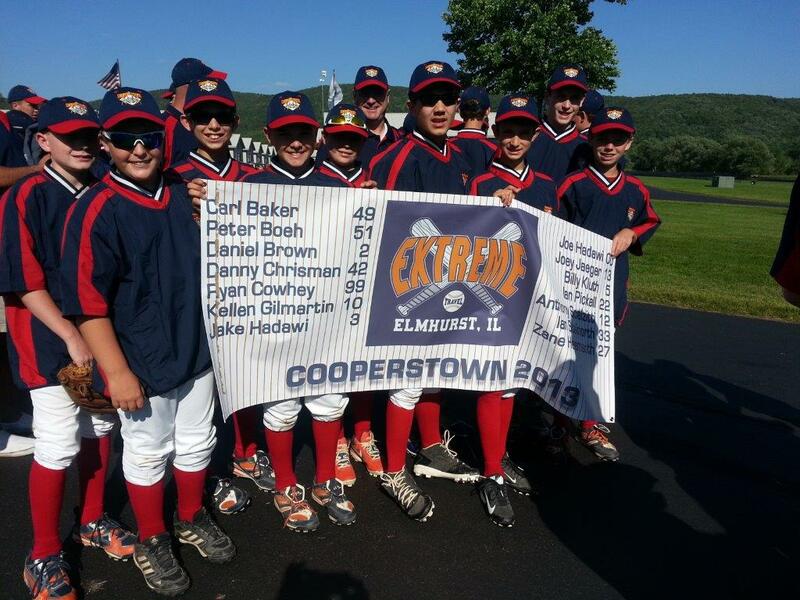 The Elmhurst Extreme is a full time travel baseball program affiliated with Elmhurst Youth Baseball (EYB). Fielding 6 teams, starting at age 9 through 14. These teams are funded by the parents and play in the Mid Suburban Baseball League (MSBL). The MSBL is a highly competitive baseball league made up dozens of suburban travel teams. The Extreme teams will generally play a 30 to 60 game schedule between MSBL league games and tournaments. Some of our teams may also play in fall leagues, The winter workouts start in January, games start in April and run thru July with at least one tournament per month mixed in with the league schedule. We have sent our 12u team to the Cooperstown Dreams Park Tournament every year since 2006 and we will send our 2019 team there next year! Open tryouts are held in July/August of each year and all are welcome. This includes players from other surrounding towns and leagues. After the initial tryout, players will be contacted for additional evaluation until the final rosters are determined. We may have more than one team per age level. We pride ourselves as having the best travel baseball program in town and welcome the best players to try out for our teams. Costs average $1300.00 per player which includes the cost of the Team and League fees, Uniforms, and indoor practice facilities. As with all travel sports, the cost and commitment is extensive, however we feel this is the best preparation for baseball at the High School level. Please contact for additional information. Help Support Elmhurst Youth Baseball - Click here to become a sponsor! Tryouts for the 2019 season are scheduled. See below for the dates, times and locations. Please print the registration form under the documents tab on the menu, fill it out and bring to the tryout. 9u, 10u, 11u and 12u teams will also be playing on in-house teams and will be eligible to tryout for the All Star teams that play in the Little League Tournament in July. Please follow the link below for a map to Berens Park.